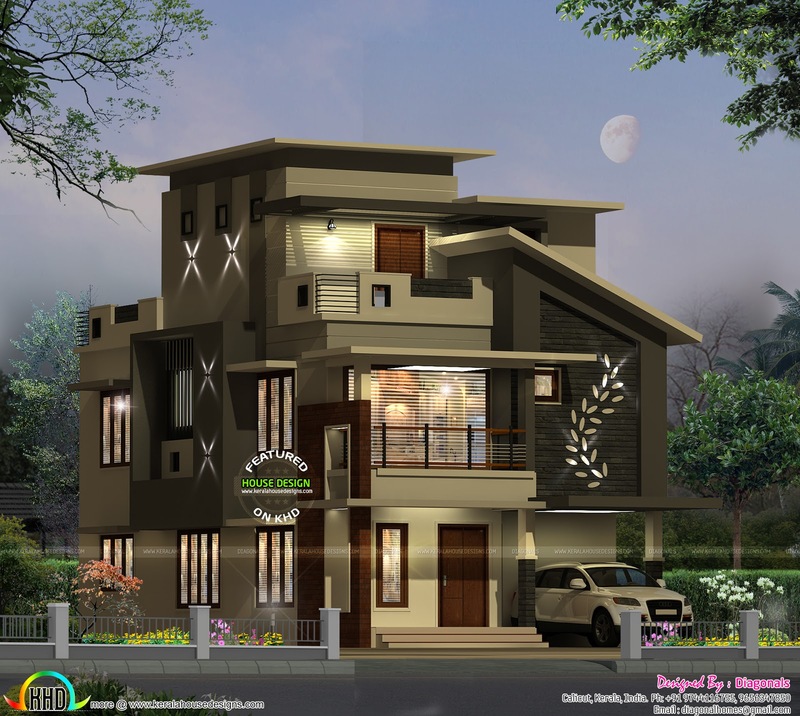 3371 Square Feet (313 Square Meter) (375 Square yards) 4 bedroom contemporary style three stories house architecture. Design provided by Diagonals, Calicut, Kerala. 0 comments on "375 sq-yd contemporary house architecture"